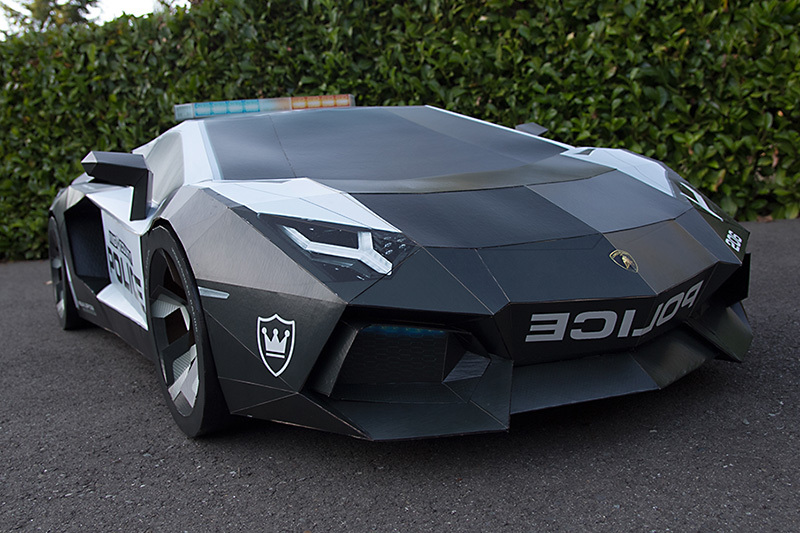 A Seattle-based designer has created a superb replica of the Lamborghini Aventador police interceptor model entirely out of paper and cardboard. The replica measures eight feet long and weights just over 11 kg. 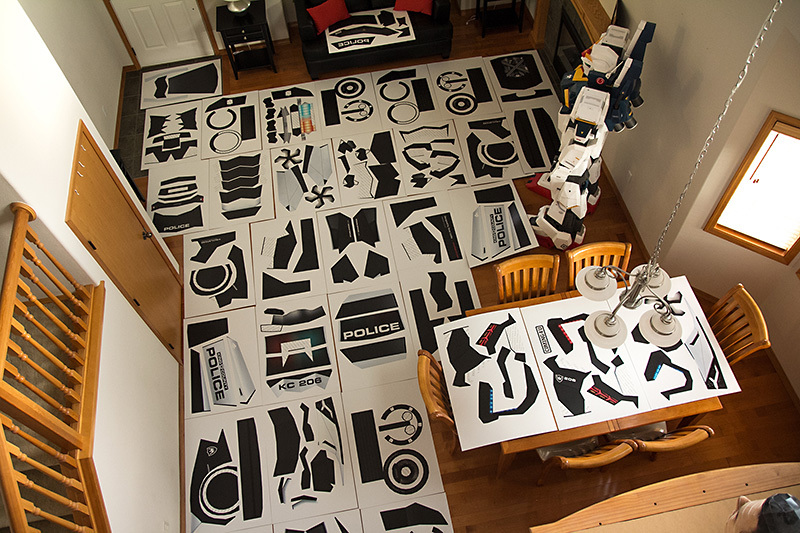 Visual artist Taras Lesko designed all the parts of the Lambo on computer softwares such as Abode Photoshop, Illustrator and AfterEffects, and printed them on architectural E2 paper sheets. These paper parts were mounted to chipboard material for added strength. This Lambo replica looks amazingly real and the measurements of the vehicle are 244 x 115 x 63 cm. Lesko has named the Lamborghini ‘Aventador A-E2’ after the architectural E2 paper sheets he used for printing the supercar’s body and wheels. Lesko used $1000 worth of cardstock, chipboard, and glues for printing and constructing the model but he thinks that the creative experience was well worth it. 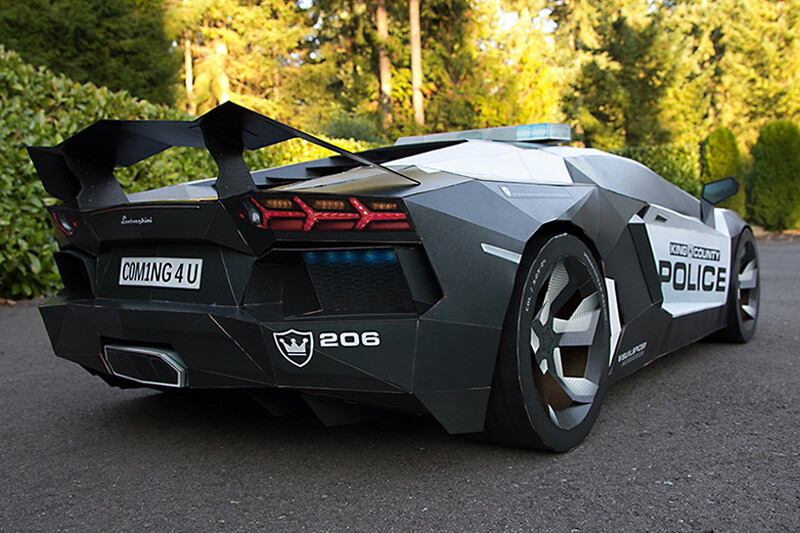 The following photo shows different printed parts of the Lamborghini Aventador.